`A meticulous and gripping reimagination of the Brighton bomb' Observer, Best Novels of 2015 In September 1984, a man calling himself Roy Walsh checked into The Grand Hotel in Brighton and planted a bomb in room 629. The device was primed to explode in twenty-four days, six hours and six minutes, when intelligence had confirmed that Margaret Thatcher and her whole cabinet would be staying in the hotel. 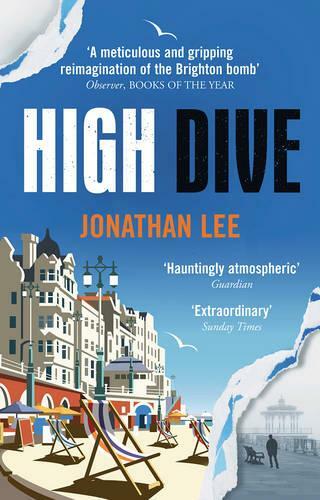 Moving between the luxurious hospitality of a British tourist town and the troubled city of Belfast, and told from the perspectives of a young IRA explosives expert, the deputy hotel manager and his teenage daughter, High Dive is a taut and tender retelling of one of the most ambitious assassination attempts against the British establishment.